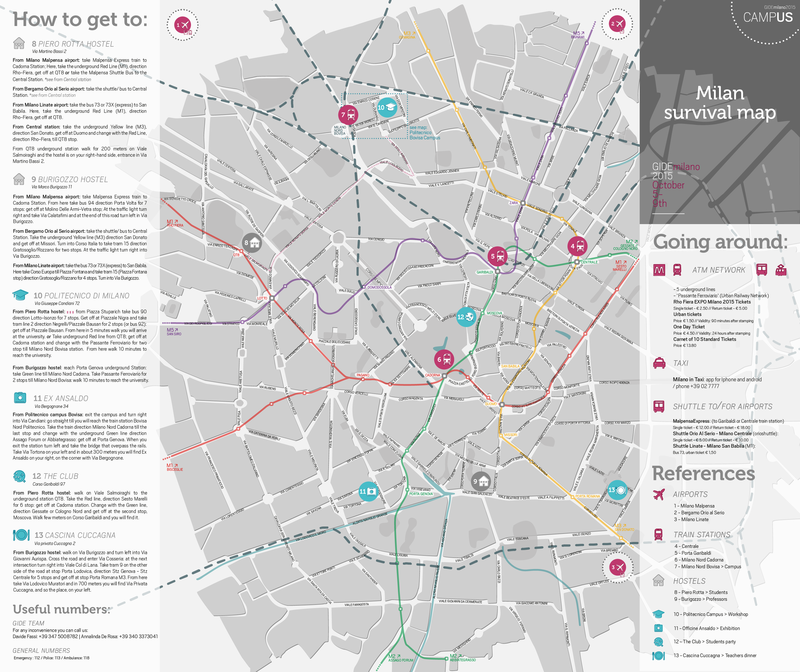 To not get lost, use our Milan survival map! Find here all the information to reach your hostel from the airport and to get to the Politecnico Bovisa Campus. Closer zoom to the university neighborhood: the Politecnico Bovisa Campus map. 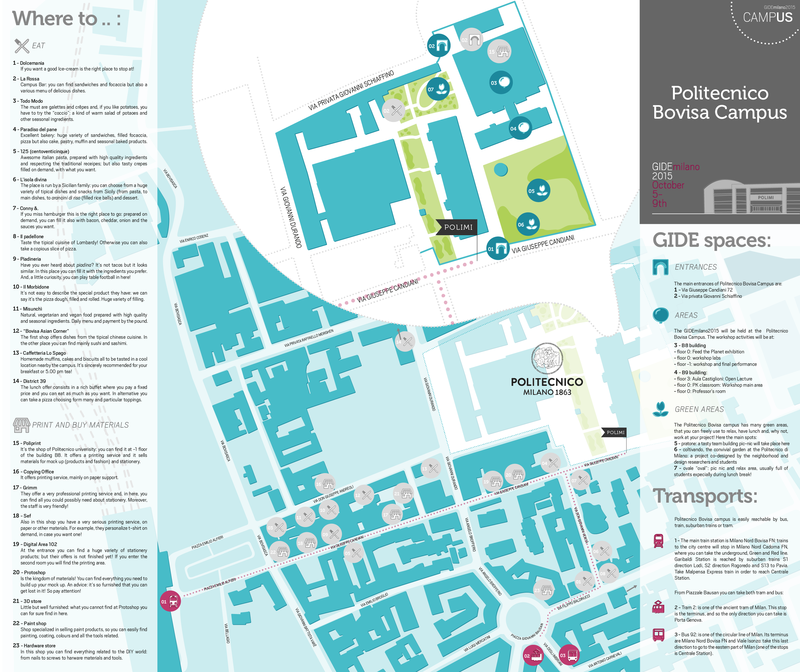 How to easily reach the Politecnico Bovisa Campus and to discover the GIDEmilano2015 spaces. Pencils, markers, sketchbook and laptop. Some students will be involved in a digital report activity, which is meant to be conduct with personal smart phones. No camera needed, only in case you cannot live without it! Don’t forget to always bring with you the Expo ticket! Some of you will need it for a workshop activity.